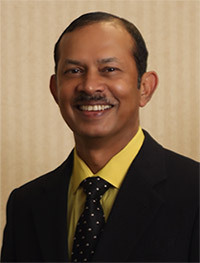 Dr. Jacob has been an active cardiologist from 1983 to present at Memorial Hermann Northeast and Kingwood Medical Center. He is a fellow of the American College of Cardiology (FACC) and also a fellow of the American College of Chest Physicians (FCCP). He is a member of the American Heart Association, American Medical Association, Harris County Medical Society and the Texas Medical Society. Armed Forces Medical College in Pune, India. Graduated March 1976. Wyckoff Heights Hospital (affiliate of Down State Medical Center) from 1978 - 1980. University of Louisville in Louisville, Kentucky from July 1981 - June 1983.